Another month, another magazine. 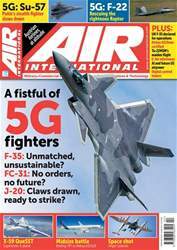 The May 2017 issue of AIR International is, as usual, packed with back-to-back news stories and features from cover to cover. 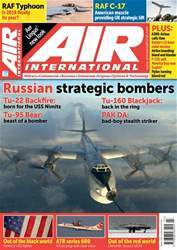 No other aviation magazine packs so much into 100 pages. There’s lots to read. 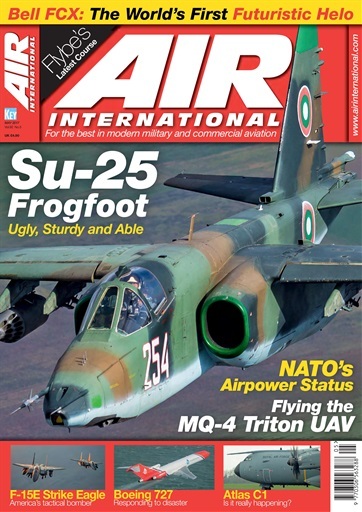 This month’s front cover is emblazoned with a striking image of an Su-25 Frogfoot to highlight a detailed feature on Russia’s ugly, sturdy and able close air support aircraft. 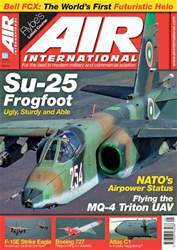 Our Frogfoot feature details the history, variants, and the latest Su-25 variants. 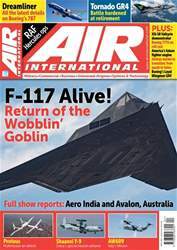 AIRSCENE, our monthly news section, covers the maiden flights of four new aircraft; the An-132D, Antonov’s new turboprop transport aircraft, Boeing’s 787-10 Dreamliner, Embraer’s E195-E2 and the Airbus A319neo; a first look at the futuristic Bell Helicopter FCX; a look at the status of NATO airpower; the final Tornado GR4 sortie flown by No.XV(R) Squadron; RAF C-17A Globemaster III ops from abandoned airfields in the UK; a LIMA 2017 show report from Langkawi, Malaysia; the MD6XX – the latest type from MD Helicopters; and the usual mix of commercial and military stories from around the world. 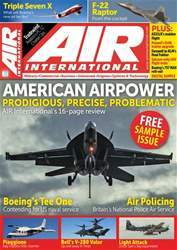 FEATURES this month include T2’s Boeing 727 used to disperse detergents in response to oil slicks anywhere in the world; the upgrades being implemented to the F-15E Strike Eagle by the US Air Force; a profile of British airline Flybe, Europe’s biggest regional airline; a report on the RAF’s work to increase the capability of its A400M Atlas C1 fleet; air warfare training with the Hellenic Air Force; highlighting the difficulties involved with airline industry security; an account of flying the fascinating MQ-4C Triton unmanned air vehicle; and a report from Thailand on this year’s Cope Tiger exercise.